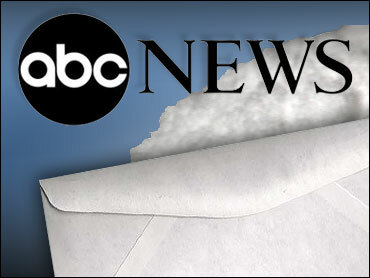 A building housing the Washington bureau of ABC News was evacuated Thursday because of a suspicious envelope containing a white powdery substance that turned out to be asprin, District of Columbia authorities said. People were forced to leave the downtown building for about 45 minutes. D.C. Fire and EMS spokesman Alan Etter said there was no note or address on the small envelope. No one reported any medical symptoms, he said. The substance turned out to be aspirin, Etter said. Firefighters and police were on the scene trying to determine whether the packet posed a threat, and the downtown building was evacuated as a precaution, Etter said.